Arya Samaj in Fiji was born out of the desire by the girmitiyas to sustain the religious, cultural and social heritage and provide a social platform for the upliftment of their living standards. The Arya Samaj in Fiji was established on 25 December 1904 at Samabula by a handful of followers who had some knowledge of the work of Mahrishi Dayanand in India who had established Arya Samaj Movement in Bombay, India on 10 April 1875. The inspiration to establish Arya Samaj in Fiji was derived from the Satyarth Prakash authored by Mahrishi himself. Those who pioneered the formation of Arya Samaj on that auspicious 25th day of December 1904 were Babu Mangal Singh, Shri Gaji Pratap Singh, Shri Nanku Sonar, Shri Bihari Lal, Pandit Shiu Datt Sharma, Shri Basdeo Rai, Shri Inayat Hussein, Shri Indra Narayan and Shri Tikaram Verma. We pay our respect and express our unreserved gratitude to these magnanimous souls whose humble effort has realized this gigantic social force of change that has undisputedly made immense contribution to the well being of the Indians in Fiji and nation building as well. Today Arya Samaj is all over Fiji and since 1904 has contributed meaningfully in the struggles of the girmitiyas and their generations to follow. Believing in dispelling ignorance and promoting knowledge through sound education the Arya Samaj in Fiji under the auspices of the National organization - the Arya Pratinidhi Sabha of Fiji (1918) commenced provisions for free formal education with the establishment of the Gurukul Primary School at Saweni, Lautoka in 1918. Prior to this several informal centres of learning were in operation by the Samajs and individual members dating back to 1893. From 1926 to 1929 under the auspices of Arya Pratinidhi Sabha of Fiji some 100 Fiji born Indian boys and girls were sent to India to study at various Arya Samaj institutions there. At the end of its first century of existence the Arya Samaj Movement in Fiji is the proud owner and manager of a number of educational institutions. The vision of Arya Samaj in Fiji is to evolve "A society where everyone is literate and conforms to acceptable moral, spiritual, cultural and social values." The affairs of individual Samajs are managed by officials elected every March by their respective members under the provisions of Local Samaj Constitution provided for by the National Organization - Arya Pratinidhi Sabha. The affairs of the National Body - Arya Pratinidhi Sabha of Fiji are managed by an Executive Committee comprising of 13 Office Bearers and 35 representatives from affiliated Samaj’ elected at AGM every June. Other functions of administration of Sabha are vested in the various subcommittees and Boards of Governors/School Committees by appointment of the National Executive at the post Convention (AGM) Executive meeting. The Arya Mahila Mandals and Arya Yuva Dals are an integral part of the Samajs and are very active at Samaj and National level. 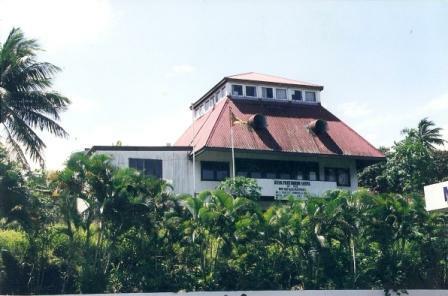 The Sabha’s Headquarters is situated at its property at 1 Ono Street, Samabula, Suva and with major renovations carried out in August 2004 now houses its Secretariat, Meeting Centre, the Vedic Pustakalaya (Library) and the Vedic Book Centre. The Arya educational institutions offer a wide range of academic subjects based on the approved curriculum of the Ministry of Education. The Sabha gives a lot of impetus to the learning of Hindi language and offers the subject in its secondary schools on a compulsory basis. Learning of Hindi at primary level is offered to all the students as well, as part of the curriculum. In addition to this the Sabha employees locally trained Vedic Teachers (religious teachers) in all its schools to teach religious, cultural and values education and expound Vedic knowledge amongst the student population and the school staff. The Arya Pratinidhi Sabha Fiji maintains a link with the Sarvadeshik Arya Pratinidhi Sabha, Delhi on all religious matters and teachers and preachers from India have continuously come to inspire us. The Sabha also maintains a close contact with Arya Pratinidhi Sabha Australia and Auckland Arya Samaj, New Zealand. Arya Samaj Fiji celebrated its centennial from 19-25 December 2004 at the DAV College/SSM Primary grounds, Dayanand Nagar, Nabua, Suva. It was well attended by all the Arya Samaj followers, well-wishers, school staff, students, parents and the general public.